Conversion lead plugs into UK campsite electrics and converts to household style 3 pin electrics. 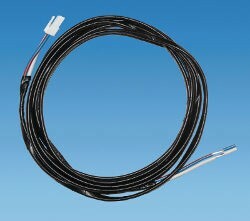 Short lead with a round 3 pin plug and household 3 pin socket. UK socket to site adapter with household/domestic type socket to 3 pin, round mains plug to connect a domestic type extension lead to the campsite mains supply. NOT A REPLACEMENT FOR MOBILE MAINS KIT. Roof fan Extension loom to connect the roof light fan to the Relay Housing on the BCA Electrical converters wiring harness system.